Looking to take the gaming experience on your Xbox console 10 Useful Xbox One Settings You May Have Missed 10 Useful Xbox One Settings You May Have Missed If you've got an Xbox One, you should know about these useful settings hidden in your console. Here are ten you can use to tweak the Xbox to your liking. Read More to the next level? You’ll need to subscribe to Xbox Live. Before you jump in, we’ll briefly explain what Xbox Live is, how much it costs, and how you can sign up now. Xbox Live is Microsoft’s online gaming service for the Xbox line of consoles. 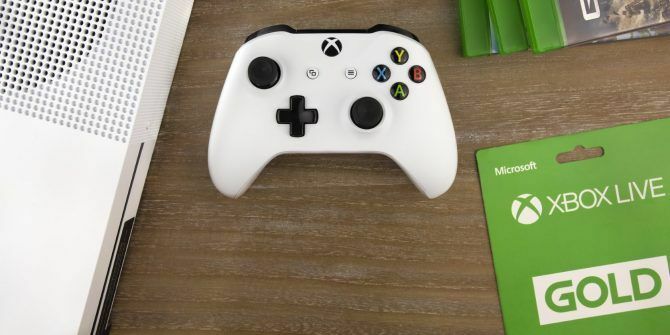 Anyone with an Xbox and an internet connection can take advantage of Xbox Live’s free features, like adding friends, downloading demos, and using entertainment apps like Netflix. Normally, when people talk about Xbox Live, they mean the premium Xbox Live Gold service Xbox Live vs. PlayStation Plus: What Do You Get With Each? Xbox Live vs. PlayStation Plus: What Do You Get With Each? If you're got a PS4 or Xbox One, you've probably thought about subscribing to PlayStation Plus or Xbox Live Gold. Let's see what they offer gamers for the price. Read More . This is required to play online multiplayer, but also rewards you with free games each month, exclusive discounts, and enables party chat to talk across games with your friends. The sticker price for Xbox Live Gold is $60 per year. You can also purchase a three-month subscription for $25, or one month for $10. Obviously, subscribing for a year is the best value. However, you’ll often see retailers offer deals on Gold subscriptions. Before your subscription runs out, keep an eye out for discounts so you can play for less. You can also earn free months of Gold How to Get Free Xbox Live Gold How to Get Free Xbox Live Gold Want to get free Xbox Live Gold? Unfortunately, most offers are scams. But there are three legitimate ways to earn Gold for free. Read More through Microsoft’s rewards program. How Do I Get Xbox Live? You can purchase an Xbox Live Gold subscription in several ways. If you’d like to subscribe right from your Xbox, press the Xbox button and scroll to the Settings tab. Select All Settings, then Account > Subscriptions. Here, choose Learn about Gold membership and you can proceed to purchase a subscription. You’ll need to enter a credit card if you haven’t done so already. If you’d rather, you can purchase prepaid Gold cards at drug stores and other places that sell gift cards — even Amazon. On the Xbox home, scroll over to the Store tab to open the Microsoft Store. Select Use a code and enter yours. Confirm the redemption and you’re subscribed! Don’t want to subscribe using your Xbox? You can purchase a code from Microsoft’s website and/or redeem yours on Microsoft’s redemption page from your PC. Are you an Xbox Live Gold member? What’s your favorite benefit? Tell us what you think down in the comments!